One of the key requisites of being listed on stock exchanges is that the listed companies are required to disclose their performance on a periodic basis. 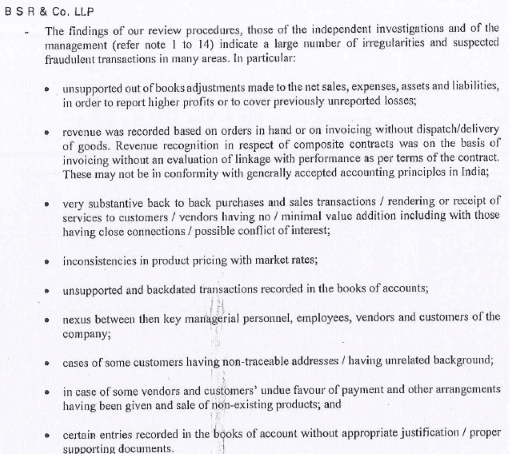 Most commonly, it is disclosure of quarterly reports by filing shareholding patterns and quarterly results. This is true for almost all the publicly listed companies across the world. Different countries stipulate different disclosure requirements on the companies listed in their respective stock exchanges. However, the common requirement in all the markets is to disclose information about critical developments on an ongoing basis and financial performance on a regular basis. Most of the markets, including India, stipulate disclosure of financial performance at least once every quarter. Therefore, companies listed in Indian stock exchanges publish their financial performance at least four times in each financial year (April – March) within a prescribed timeline from the end of the stipulated period (end of the quarter). If due to any reason, a company is not able to disclose its results within the above mentioned timelines, then it is a red flag. The investor should be warned that the company is facing some issue and she should not ignore such delay in disclosure of results as being trivial in nature. Most of the times, delays in filing of quarterly reports are linked with ongoing frauds and corporate governance issues within the companies. The example of Ricoh India Limited is pertinent here, which published its results for September 2015 quarter on May 18, 2016. The company has initiated proceedings against its senior management for possibility of perpetrating fraud. The current article focuses on understanding the key information contained in the quarterly results published by companies and their interpretations. 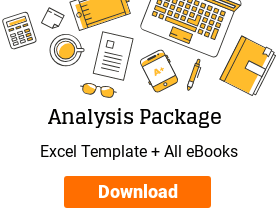 The articles is aimed at helping the reader to develop a framework in getting the critical information from quarterly reports within a short amount of time. SEBI has stipulated the minimum level of information, which a company must disclose in its quarterly results. However, the companies are free to disclose any information over and above the minimum required. Notes disclosing key outcomes of board meeting, status of projects under execution, dividend declaration and other critical developments about the company. Analysis of quarterly results is a part of regular monitoring exercise of companies in one’s portfolio. 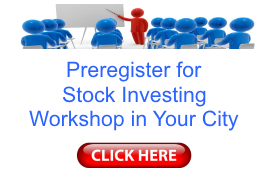 Therefore, it becomes one of the key events that shareholders track to update themselves about company’s affairs. 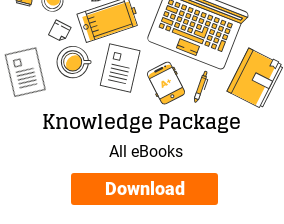 Let’s understand in detail the key information disclosed in the quarterly reports and their relevance & interpretation for a fundamental stock investor. 1) If a company is not able to publish its quarterly results within the stipulated timelines (45 or 60 days, as applicable), then it is a serious issue and the investor should definitely be worried. 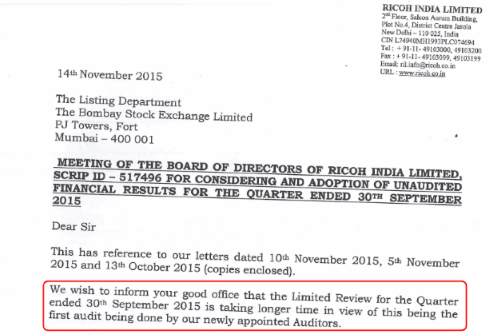 In case of Ricoh India Limited, the company intimated the stock exchanges on November 14, 2015, the last date for disclosure of results for September 2015 quarter, that it would not be able to publish results within the deadlines. Later on, the company disclosed that it is investigating the possibility of a fraud by the senior management of the company. 2) On similar lines, if a company that used to publish results promptly within a few days from the end of the quarter, delays its results, even then an investor should try to find out the reasons for such delay. Many a times, such delay is associated with the change in management of the company, which is a frequent event for public sector undertakings (PSUs). In most of such cases, the new management takes time to clean up the books of the activities of the previous management so that it may start with a clean slate. Other reasons for delay in declaration of results might include that the promoter/senior management/directors are not available due to certain engagements. However, the investor should analyse each case of delay in filing of the results and try to find out the possible reasons leading to the delay. Auditor’s report is a very important section of the quarterly results that contains opinion of a competent third party on the financial performance disclosed by the company. However, it is the section of quarterly results that routinely gets ignored. One of the key reason for such ignorance is that in most of the well-run companies, the auditor’s report is uneventful and a standard attachment to results, containing mundane legally conscious language. However, auditor’s report is an all important part of the results that has many a times exposed significant misdeeds and frauds perpetrated by the management. The role of the independent auditor is paramount in the principal-agency relationship of shareholders and management. We mentioned earlier that Ricoh India Limited delayed filing of its quarterly results for September 2015. Finally, the company published these results on May 18, 2016. The auditor’s report, which formed part of the results release, contained eye opening comments on the status of financial dealings of the company. Therefore, it becomes paramount that investors should always read the auditor’s report in detail, whenever they read the financial results of any company. Profit & loss statement (P&L) is the permanent feature of all the quarterly results and many a times investors limit their reading of quarterly results to the P&L only. However, it is advised that investors should pay equal attention to all the sections of the quarterly results to effectively monitor their stock holdings. the performance of previous full financial year (FY2015 in this case). 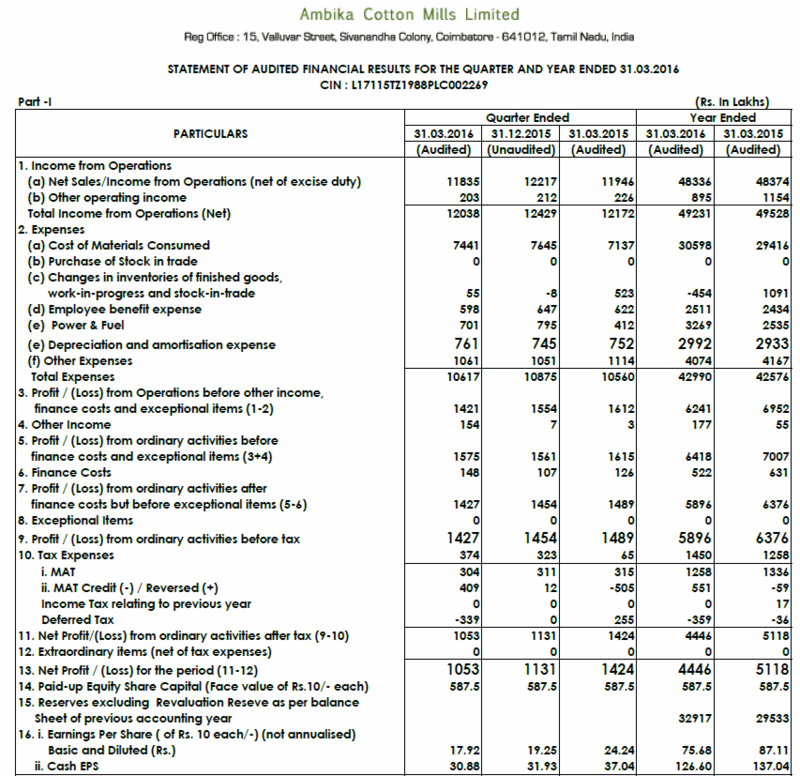 *Disclosure: I own shares of Ambika Cotton Mills in my portfolio. It compares the YTD performance of the company until the reported quarter (6 months, 9 months or full year as the case may be) with the performance in the same period in the previous financial year. All these parameters highlight the improvement or deterioration of financial performance of the company during the periods under comparison. The investor should specially focus on the item, which shows sudden high increase or decrease over the comparative periods. It compares the performance of the company during the reported quarter (March 2016) with the performance in the respective quarter in the previous financial year (March 2015). The key parameters of performance evaluation are the same as has been discussed above. The YoY performance rules out the impact of seasonality in the business of the company. It provides an opportunity to understand the current performance of the company with the performance in the last year under similar seasonal parameters. It compares the performance of the company during the reported quarter (March 2016) with the performance in the preceding quarter (December 2015). The key evaluation parameters remain the same as per the above discussion. I advise the investors to focus more on the year till date (YTD) performance and not get a lot worried about the quarterly performances. Even in quarterly performance evaluation, it is advised that investors should give more weightage to YoY performance than QoQ performance. As mentioned above YoY performance is assumed to rule out the impact of seasonality in the business performance evaluation. QoQ performance evaluation is of least importance among the three scenarios discussed above (YTD, YoY and QoQ). Changing views about a company after each quarterly result, is to fundamental analysis what intra-day trading is to technical analysis. It is all but natural that the performance of humans as well as companies never stays the same over time and we suffer from periods of exuberance and distress. It is difficult to repeat exactly the same performance for humans and companies in two attempts (only machines/robots seem to be capable of doing it). In this light, we expect the company’s performance to fluctuate from one period to another and it should be accepted as a norm. We should be worried if the company keeps on improving/maintaining its performance like a clockwork performance. Because such performance is usually associated with managed financials where the company adjusts/cooks its books to show desired financial performance. Segmental capital employed, which can be used to assess the return on capital employed for particular segment. As discussed above in the quarterly P&L analysis section, while doing segmental analysis as well, it is advised that an investor should focus on the year till date (YTD) performance the most, next on the year on year (YoY) performance and least on the quarter on quarter (QoQ) performance. Most of the companies listed on stock exchanges in India disclose their summary balance sheet in their September (half yearly) and March (full year) quarterly reports. The summary balance sheet contains only a snapshot of assets and liabilities at the date of end of the quarter without providing detailed notes/schedules, which are included in the annual report. Even though the balance sheet is only a summary, nevertheless, it provides great insights into the status of the company’s financial position at the reporting date. An investor can get a rough estimate of change in leverage, progress of projects under execution, movement of cash & funds etc. 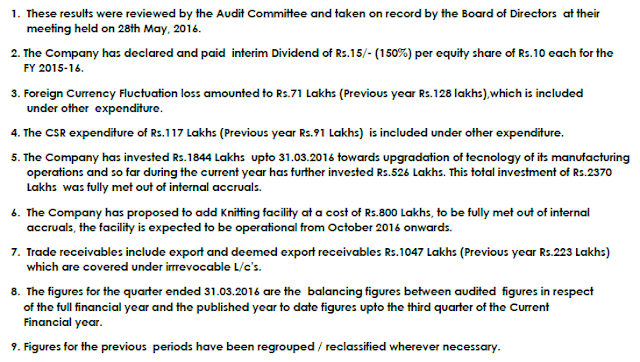 from the summary balance sheet. I advise investors to mandatorily conduct the fund flow analysis whenever they analyse the balance sheet. These notes are a critical piece of communication from the company to its shareholders and serve as a direct source of assessment of critical issues affecting the company and shareholders. An investor should also read the notes in the quarterly results filed by Ricoh India Limited for September 2015 quarter disclosed on May 19, 2016, which can be downloaded from here. 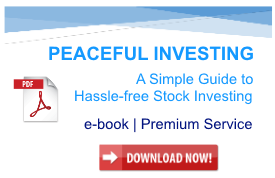 These notes are an eye opener for every investor. Increase in promoters’ shareholding is seen as a positive indicator that shows faith of promoters in the company and vice versa. Increase in pledge of shareholding by promoters is seen as a negative indicator as it indicates deteriorating financial position of the promoters. It also indicates that the promoters are reducing their interest in the company in an indirect manner by monetizing their shareholding by taking loans against it. Decrease in pledge along with decrease in promoter shareholding is the worst sign as it indicates that the promoter is not able to repay the debt raised against the shares and the lenders have invoked the pledge. It means that the lenders have sold the shares and used the money to settle their debt. Decrease in pledge with stable or increasing shareholding is seen as a positive sign, as it indicates improving liquidity position of the promoters and their interest in the business/company. However, this segment of the quarterly results disclosure is a duplication of information, which the companies have already declared as part of shareholding pattern disclosures. Shareholding pattern disclosures are to be done by companies within 21 days from the end of the quarter whereas the quarterly results are to be disclosed within 45-60 days after the end of the quarter. Therefore, if an investor has been following the company closely and have already analysed the shareholding pattern filing previously, then she may ignore this section. Otherwise, she may get critical information about promoters’ liquidity position and their interest in the company. 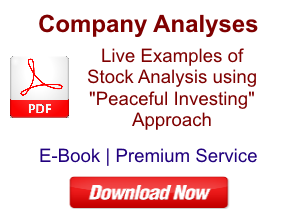 Please share whether you consider quarterly reports analysis as a relevant parameter in stock analysis and monitoring. Please also share the key aspects of the quarterly reports disclosure that you focus on while analysis. You may share your inputs in the comments section below. 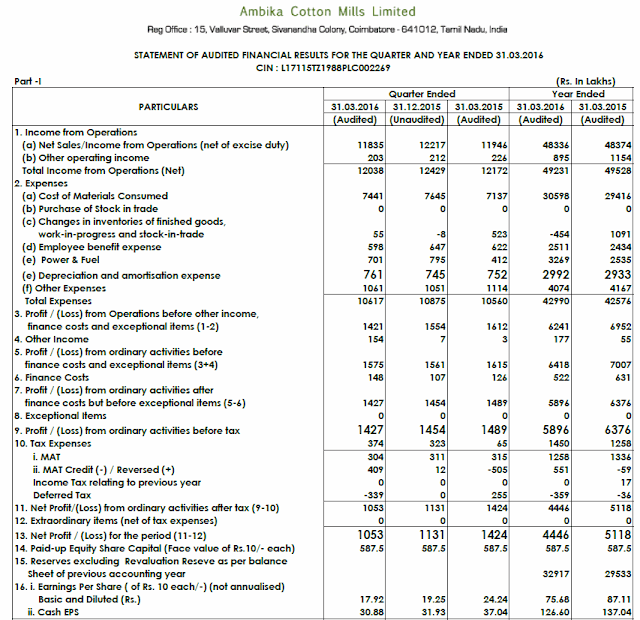 Currently, I own stocks of Ambika Cotton Mills Limited out of the companies discussed above. I have disclosed stocks in my portfolio on a dedicated page (My Portfolio). 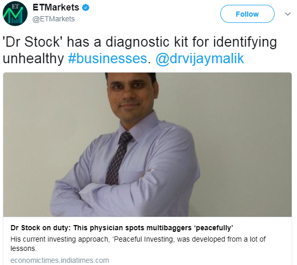 I request you to see the list of stocks I own, because it is assumed that my views can be biased when I opine about any stock which I own and therefore, have a financial interest.